Blankets of Love is a community service project helping to educate children to learn to serve someone else beside themselves. The program began when Susie Gallegos was inspired to remember her great aunt Rhoda Macgregor who passed away 3 years after Susie first visited her. Aunt Rhoda's ministry was making and giving away quilts to those in need. What initially helped Gallegos and her daughter Sammy to feel relief for their aunt's death became what she calls "This Madness". 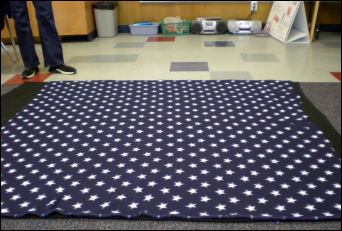 The first grade teacher explained the story, as she cut into the fleece blankets during the after-school training session at Cedargrove Elementary School. Before the Valentine's Day delivery Gallegos trains volunteering parents and students ranging from 1st to 12th grade to assemble and cut the blankets properly. She continued by telling the group (and me) how the blanket her daughter received from her aunt became an object of comfort after her death. The two paired up to create a blanket of their own, later for Gallegos to show off to her 1st grade class. One student immediately said she wanted to learn how to make a blanket, and that's when things began to multiply. The program evolved from 20 blankets and 20 kids to 1,000 blankets and 1,900 students. Over the last six years the program has expanded into 12 different schools in California. At some stage in the program Shane Pierce, one of Gallegos' students, was diagnosed with cancer. Shane's death took a heavy toll on her as well as on the school. The program became about more than a blanket. It was now a symbolic event, a day filled with "love medicine", as they call it. 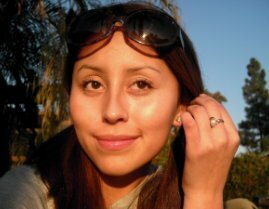 Despite Shane's passing Gallegos continued to make and deliver blankets to the City of Hope, where she was confronted with a defining moment. A mother who had lost her child approached her and talked to her about her situation. She told Gallegos how her child had received a blanket from Blankets of Love and the impact it had had on her. Gallegos said, "She told me, 'I sleep with that blanket every night', and I was left speechless and began to choke". Susie Gallegos was determined to continue making the blankets every year no matter what the circumstances. The process of making blankets initiates in late December and continues through early January. 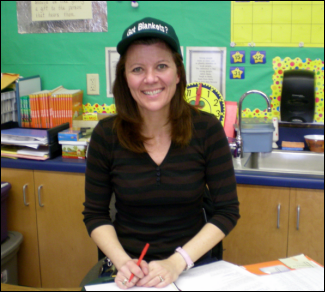 This year Gallegos assigned her class to earn the money to pay for the materials. Other teachers at Cedargrove and several different schools raised their money by recycling and asking for donations. With the money earned Gallegos drove to downtown Los Angeles where she purchased 4,111 yards of material, equivalent to approximately 3 and a half miles! The development of the blankets has brought people to work together for one cause, and that's what Gallegos loves the most. 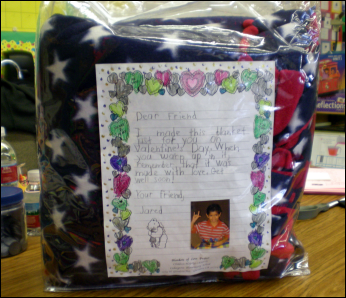 These blankets are delivered in a special bag with a letter from one of Gallegos' kids or other students. When the blankets are made, washed, and have a written letter, they are put in a bag where they are delivered on V-Day to several hospitals such as the City of Hope, Children's Hospital of Los Angeles, Riverside Burn Center, Loma Linda University Children's Hospital, and as far away as India. Blankets of Love for me has given a new meaning to Valentine's Day. A day when people from all ages, cultures, and races have come to work together for one cause - and that's love. Why not reach out to your community and see what you can do to get involved? Maybe you can start Blankets of Love in your community. remember it was made with love. Get well soon!" 4. 3 1/2 inch square made from an index card. 1. Put the print fabric on top of the solid fabric. 2. Trim all four sides of the material so the top and bottom fabrics are the same size. 3. Cut out a 3 1/2 inch square from all the corners. 5. To cut a small slit in the fringe, flip the fringe piece upon the blanket. 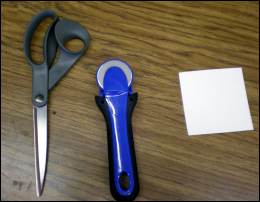 Cut a 1/4 inch slit on the fold. 6. Lay the fringe piece back down. Then take the corners of the fringe piece and pull it down through the slit. 7. Continue cutting the fringe all over the fleece and then follow step number 5 and 6 until you have finally made you fleece blanket just like the one from Blankets of Love.